But most important of all is the structure of the incidents. For Tragedy is an imitation, not of men, but of an action and of life, and life consists in action, and its end is a mode of action, not a quality. Now character determines men’s qualities, but it is by their actions that they are happy or the reverse. Dramatic action, therefore, is not with a view to the representation of character: character comes in as subsidiary to the actions. Hence the incidents and the plot are the end of a tragedy; and the end is the chief thing of all. It’s like she gets off on being withholding. But there’s a difference between a slow burn and a show which just stops burning outright for a while before trying to rush the fires at the end, and I fear that this season of Better Call Saul, one of the few hour-long dramas I do watch, has clearly crossed that line into the latter. Let’s back up. A quick primer for those of you not familiar with the show (those who are, you can skip to the picture of the van if you’d like): Better Call Saul is a spin-off of one of the two dramas that put AMC on the map of Prestige Television, Breaking Bad. The spinoff focuses on Bob Odenkirk’s Saul Goodman, at the time of Breaking Bad a loud, sleazy, and thoroughly immoral criminal lawyer, who offers his services to Walter to help him make as much money as possible, safely and cleanly as is possible in the methamphetamine business, to provide counsel and infrastructure for a talented meth cook who’s clearly in over his head. Better Call Saul serves as a prequel story, building around a throwaway line in Saul’s first appearance on Breaking Bad1 to show how Jimmy McGill, Chicago-area (specifically, Cicero) small-time hustler, first got his act together to become a lawyer in Albuquerque (if not one of any particular renown) and then dove headfirst into the criminal underworld as Saul Goodman. 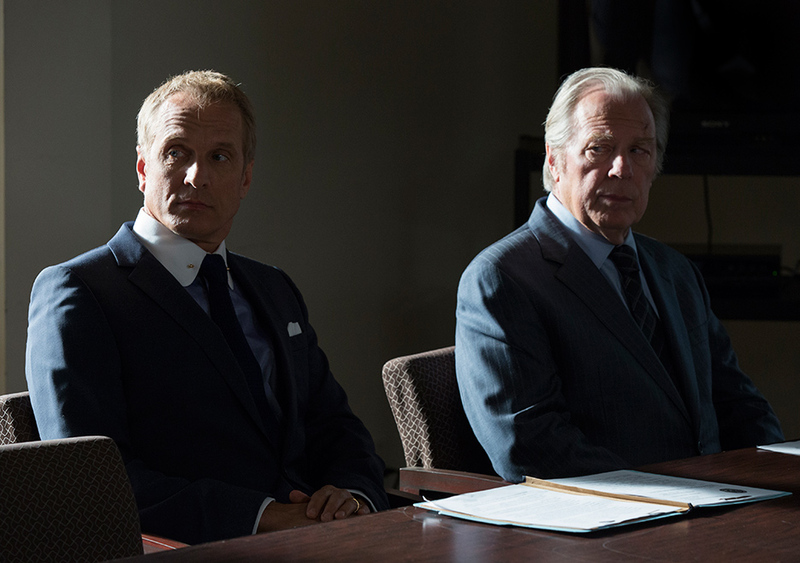 The journey involves Jimmy’s older brother Chuck (Michael McKean), a titan of the Albuquerque legal community and the person responsible for bailing Jimmy out of legal trouble in Cicero and getting him a job in his firm’s mailroom. Chuck is a partner at Hamlin Hamlin McGill, where we also meet Howard Hamlin (Patrick Fabian), the second H in HHM (and the son of the first), and Kim Wexler (Rhea Seehorn), an up-and-coming associate and on-again, off-again romantic partner of Jimmy’s. Jimmy, to his credit, took night classes while working in the mailroom, eventually passing the bar himself. 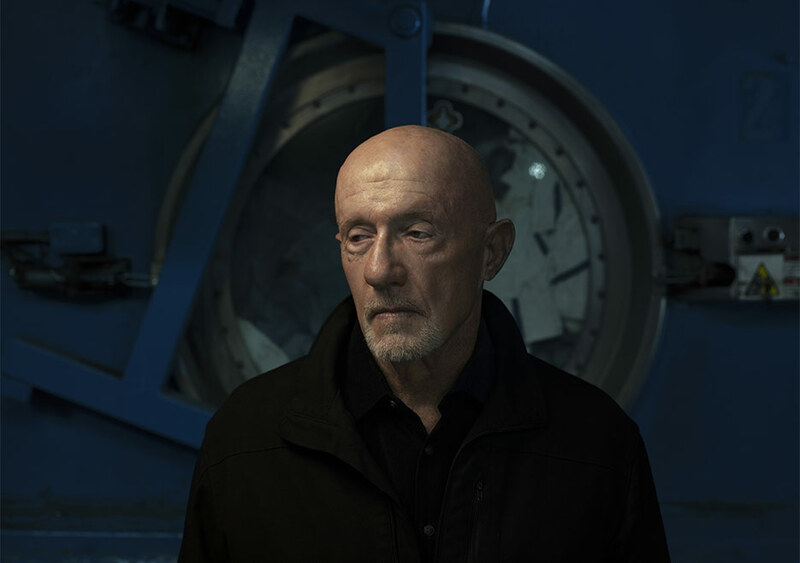 Beyond Jimmy’s story, the show also features Breaking Bad fixer and fan favorite Mike Ehrmantraut (Jonathan Banks), telling the story of how he got involved with Albuquerque’s criminal underworld (thanks in part to his connection with Jimmy), as well as a soldier in the Salamanca cartel and his journey navigating various loyalties, Ignacio “Nacho” Varga (Michael Mando). When the show begins, Chuck is suffering from electromagnetic hypersensitivity, a condition that has kept him from many of his duties at HHM, and for which Jimmy puts in tremendous effort to care for his needs, personally bringing him ice, groceries, newspapers, and everything else Chuck needs to survive in a house with no working electricity and which he can’t leave. Over the course of the first three seasons, though, even as Jimmy works hard to make a “straight” living as a lawyer– at one point even bringing HHM a golden case of elder care fraud– it becomes clear that Chuck has not only always resented Jimmy, but has been working behind Jimmy’s back to stifle his career, keeping him from joining the firm (while hiding behind Howard to do it) and at one point even attempting entrapment in order to get Jimmy disbarred. (It also becomes clear that Chuck’s condition is not only psychosomatic but seems connected to Jimmy’s status as a lawyer.) Midway through the third season, Jimmy exposes Chuck’s condition in open court as part of his defense in his disbarment hearing, in an outstanding scene and in my opinion Emmy-worthy performance from McKean. This is where season four picks up, in the immediate aftermath of that decision. Jimmy, whose law license was suspended for one year after the hearing, seems to completely numb himself to Chuck’s death, which greatly concerns Kim (on again, and they’re living together at this point). Jimmy eventually takes a job at a store that sells prepaid cell phones, while Kim has since split off from HHM to practice independently, with Mesa Verde, a bank with aggressive expansion plans, as her sole client. (She begins to take on pro bono work as a public defender once she realizes how unfulfilling she finds the banking industry, eventually approaching another major firm, Schweikart Coakley, with an offer to bring them Mesa Verde if she is made a partner and the head of their banking division, thus giving her the resources to make sure Mesa Verde is properly taken care of while she continues moonlighting as a public defendant.) The street hustler in Jimmy realizes there’s profit to be made buying up the store’s inventory and selling the phones on the streets directly to criminals, and that’s what he’s spent the last few episodes doing. Now, onto the art of drama itself. The Shield is my favorite television drama of all time, in large part because it held to the rules of drama as outlined above better than any other show ever written. (And, as you almost certainly know if you’re reading this, I can’t credit enough the work of The Solute’s Wise Professor, Grant “wallflower” Nebel, in elucidating this point and these qualities of the show.) The main dramatic throughline of the series, the rise and fall of the Strike Team, constantly moved forward: Each scheme the Team hatched for personal gain invariably caused a new complication that had to be dealt with; each scheme the Team hatched to get them out of the consequences of the previous scheme invariably caused more complications, and this cycle continued until the Team finally found themselves in a position they couldn’t escape from without fracturing apart. Now, I don’t expect every show to be as tightly paced as The Shield, but I also don’t think it’s asking too much for a show to move forward rather than futz around and not move at all. And I think Better Call Saul has done that this year. In previous seasons, episodes might have moved slowly, but they still advanced the plot. 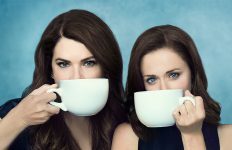 This year– perhaps in part because of the hole left behind by Chuck’s death and the decreased presence of Howard and HHM as a result– the show has resorted to filling space with scenes that don’t advance the plot or that repeat things we already know. The thing is, Saul has a similar structural advantage to The Shield in this regard. The Shield was able to move forward relentlessly in part because any particular episode often had four plots running: Besides the Strike Team, you had Aceveda’s story, you had Dutch and Claudette’s case of the week as detectives, and you had Danny and Julien’s case of the week as beat cops. (Later, this would expand, as the more ambitious characters moved up in rank and new ones came in to take their old jobs– we followed them all.) With that many stories to tell over a 45-minute episode of television, none of them had to stall out, and each one could move forward in every scene without feeling rushed. Saul has three major plots: The story of how Jimmy McGill became Saul Goodman (and how that involves Kim Wexler, Chuck McGill, and Howard Hamlin); the story of how Mike Ehrmantraut became involved with Gus Fring’s organization (and what they did once they teamed up); and the story of Nacho Varga’s rise in the Salamanca organization and the consequences thereof. Each of these stories could be advanced every episode without any of them feeling rushed. What’s become frustrating about this season is the extent to which those in-between scenes are either repetitive or pointless. I first noticed it in the season premiere: Mike decides to steal a Madrigal employee’s ID badge as part of his security inspection. We get a full three-minute scene of the employee in question at home getting ready for work, fixing his son’s bike, and then in the last thirty seconds discovering his badge isn’t there and calling corporate to let them know he’ll be late as a result. I found myself wondering, what is the point of this scene? The information we need to know could have been communicated in thirty seconds, and nothing else we saw shades in a character of any importance; we have not seen that employee since this scene, and I highly doubt we ever will again. In episode six, after Gus begins to take a personal interest in Hector Salamanca’s care and recovery from a stroke, we see him sit by Hector’s bedside and give a monologue about a wild animal he trapped as a child. The obvious connection here is that Gus’ infinite patience and desire for revenge means that he will never stop waiting for Hector and will ensure he traps him in the way he wishes to… but anyone who saw Breaking Bad already knew this! (And anyone who didn’t must surely have cottoned to the animosity between the two as shown previously.) It’s not a necessary scene; it’s redundant and repetitive and seems to exist only to give Giancarlo Esposito a cool monologue. It’s frustrating not only because it’s redundant and doesn’t advance the story, but because it fails to advance a story that we already know the ending to. We know Gus and Mike make it to Breaking Bad and we know their fates there; in addition, they’re already fully-formed as characters, so unlike Jimmy McGill / Saul Goodman, there’s no dramatic or tragic journey there, just a practical one, an origin story of their teamup. Similarly, the fact that Nacho never shows up in Breaking Bad also means we know his fate to some degree– or at least, that he isn’t a presence in Albuquerque by the time it airs. While Michael Mando is terrific in the role, and there’s still some expectation that Nacho’s story could be a great tragedy in its own right, the story of cartel-affiliated criminals is a lot less unique than the story of how an already-established character slid down the slope from trying to do good despite his con-man instincts to being a full-blown criminal lawyer. More than ever this season, the plots with Mike and Nacho are disconnected from Jimmy altogether. Whereas in season 1 we met Mike and Nacho through Jimmy, by now they both work for Gus, who has no use whatsoever for Jimmy (or Saul), thus the plots rarely and barely intersect. That makes them feel like they belong to a different show, one that has nothing to do with the journey of Jimmy McGill to Saul Goodman, except that it incidentally runs in the same criminal circles. These stories, especially when they go on detours that don’t advance the plot, make the show often feel like a mashup of two very different shows: Better Call Saul on one hand, The Breaking Bad All-Stars on the other. And the former is much more compelling than the latter. Even when we do get scenes from the main plot, they often are repetitive and don’t advance anything. Episode 5, “Quite a Ride,” opened with a flash-forward to a point on the timeline near the end of Breaking Bad, where Saul has pulled the ripcord and decided to leave town under an assumed identity. (The episode title takes its name from a line he says to his secretary Francesca.) It’s a fun enough scene, but it stands completely apart from the rest of the show and seems to have no purpose for existing, other than to remind people where this journey ultimately ends up– a reminder that wouldn’t be necessary if they’d just get on with it. The thing is, the writers almost seem to understand this on some level. The beginning of episode 7, “Something Stupid,” is taken up with a montage of nearly ten months’ time– an acknowledgment that the characters have made all the dramatic decisions they’re going to make in the present time, and we need to move forward to the next set of decisions. But then they seem to repeat much of the same information throughout the episode regarding Jimmy and Kim’s relationship as we had seen previously. Episode 6 opens with a flashback to the days when Kim and Jimmy both worked in the mail room– an interesting way to delineate how different they were even then: Kim has an almost encyclopedic knowledge of case law and is interested in getting the job done efficiently; Jimmy is a people person who cultivates relationships and is interested in getting the job done in a way that brings joy to him and the people around him. Again, though, as neat as it was to see, it didn’t really tell us anything we didn’t know already. 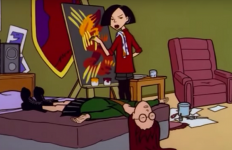 It foreshadows the ways in which Jimmy and Kim are growing apart, but we’ve already seen the seeds planted for that earlier in the season, and over the next three episodes we essentially hit the same beats over and over, regarding how the two of them are increasingly distant and non-communicative. That does flip around a bit at the end of episode eight, but that also highlights one of the biggest areas of disappointment in the writing: How little screen time and action the writers give to Kim. Rhea Seehorn has been the highlight of the season, so good at communicating Kim’s thoughts, feelings, and motivations through the subtlest of expressions, but she doesn’t get nearly enough screen time, and when she’s on screen, the writers seem to more rely on her acting ability to carry the day rather than giving her anything to do or even say. (One of the biggest exceptions on the latter point, when she tears into Howard for his treatment of Jimmy, is one of the highlights of the season.) The end of episode 8 seems to be setting up Kim for her own tragedy: Her professionalism, ethics, and dedication are grinding against her affection for Jimmy and the thrill she feels when they pull off a con together, and I fear she will choose the latter over the former, possibly with dire consequences. But this would’ve been all the more effective if we’d seen more of Kim getting to that point, rather than watching her ruminate in silence and putting the pieces together later on our own. What makes this so disappointing, in part, is that I know the writers know how to write with forward momentum. The third season of Breaking Bad is my favorite, and interviews with Vince Gilligan detail why: They hadn’t finished writing the season when they had to start filming, and they were much more driven by necessity of plot and character than by setting up things they wanted to happen in the finale. (In particular, the initial intent of the writers was to make the Cousins the Big Bad of season three; as they wrote the show, they realized these two would never wait around that long for the opportunity to strike, so they moved up the characters’ agenda to confront Walt much sooner than expected.) 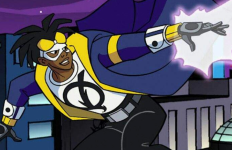 Season three ultimately ends up playing like two short seasons– a seven-episode season with Leonel and Marco as the main villains, followed by a six-episode season where Gus is the primary antagonist to Walter and Jesse– because that was what was necessary for the plot, and it works like gangbusters to keep the story momentum going (even with an episode where literally nothing happens in “Fly”). Better Call Saul could do the same if the writers wanted, and it’s not necessary to constantly thrust characters into life-and-death situations to do so. Jimmy doesn’t have to be on the verge of being killed or found out like Walter was, but he could still be consistently making the decisions that, bit by bit, turn him into Saul, rather than the writers spending so much time showing him ruminating or showing montages. To speak of Breaking Bad season three again, the writers seem to have six or seven episodes worth of plot each season, but look for ways to stretch it to ten. The truly frustrating thing is that the good elements of Better Call Saul are great. The performances are uniformly excellent, the production values remain impeccable, and when the time comes for the show to deliver moments of ownage and tragedy, it delivers hard and well. For ownage this season, you only have to look so far as what Jimmy did in episode 6 to the kids who rolled him in episode 5. And this season has at least two great tragic moments. First, Chuck’s posthumous letter to Jimmy: His words are kind enough, but the obvious fact that he never updated it after Jimmy became a lawyer, and what happened to their relationship since, reveals how hollow they are, and that (along with the combination of Jimmy’s seemingly uncaring reaction) causes Kim to break down. Second: Jimmy’s reaction to finding out one of his earliest clients for his elder law practice, the one he was forced to abandon, died. These moments stand out as great examples of tragedy because they show roads not taken, what could’ve been different and can’t be anymore. My disappointment simply comes from the fact that Better Call Saul doesn’t provide us with those great moments nearly enough, and as far as I can tell, this mostly seems to be the case because the writers deliberately put off advancing the story or paying off earlier plots, rather than writing organically to the next event. It’s not out of dramatic necessity that Better Call Saul moves slowly; it’s a conscious choice. And it’s a conscious choice that frustrates me as a viewer and makes the show feel bloated. I am sure these next two episodes will be exciting, because they have to be to pay off the season’s storylines, but I am also sure that about 3-4 episodes’ worth of content could’ve been excised from this season– possibly from every season– and the effect on the dramatic momentum would more than make up for whatever was lost. If you’re going to tell a tragic story, a story of transformation, that story needs to move forward.